My 100 Days drawing partner, my wife has been away all this week and I miss her. I especially miss our new found drawing time we have every night since we both stated this challenge. 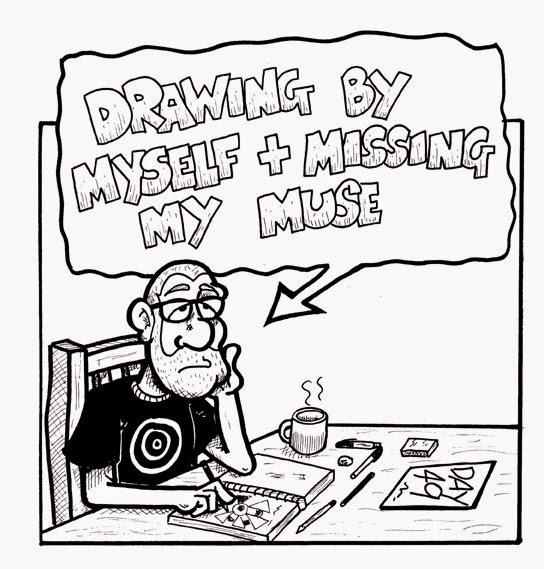 Thankfully she’s back on Saturday, so this is a drawing of me drawing alone and missing my muse.